We have multiple modular spreaderbeams from Modulift available. 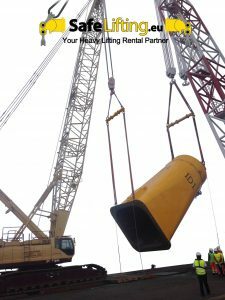 Ranging from 24t up to 1500t, we have everything you need available for Rental. You can contact our office for a free quote and advise for your lift. We can also provide you with Shackles, Grommets and Slings if needed. all depending on your needs and form of transport. This is including shackles and grommets or slings. Safe Lifting has the biggest range in Modulift Modular Spreader Beams. We also have struts specially engineered for us in order to offer you the most flexibility. Our fleet of Modular Spreaderbeams is constantly expanding, contact our office for a free quote.